I recently ran an intensive weekend course for a group of lovely ladies who were relatively new to fly fishing or indeed complete novices. 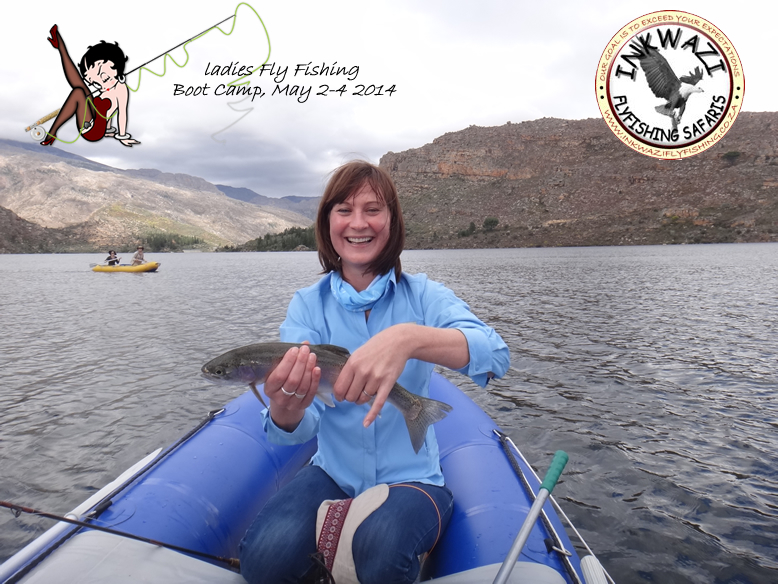 It was billed as a “Ladies Fly Fishing Boot Camp” and in a couple of short days we covered all the essential elements of fly fishing from the history of the sport dating back to the Romans to modern tackle, knots and casting. Plus a day’s fishing as well, yes more than a few of the ladies had virtually never so much as touched a fly rod, so it was a tall order to try to get them to the point of catching fish in such a short period of time. That most of them did actually catch fish and a couple their FIRST EVER fish on fly gear I think would register the program as a success. 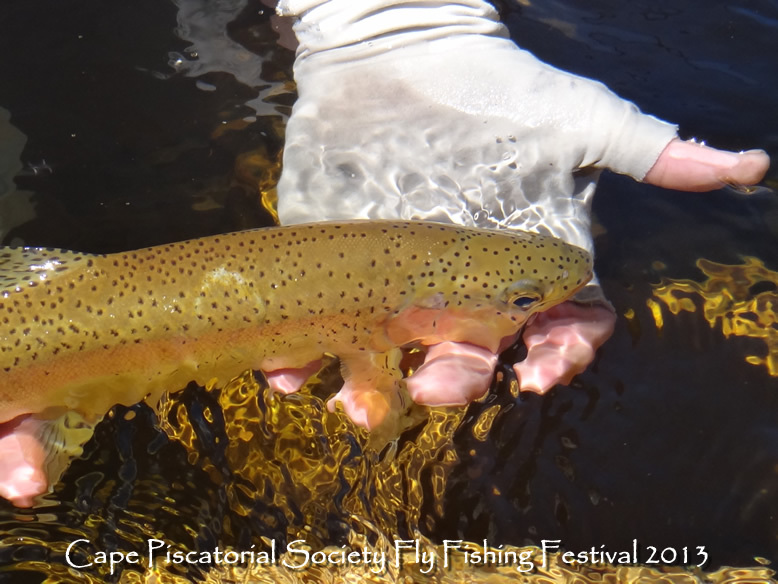 The lesson for me though was that actually fly fishing is pretty simple most of the time, and perhaps we put off as many potential advocates as we attract by overcomplicating things. 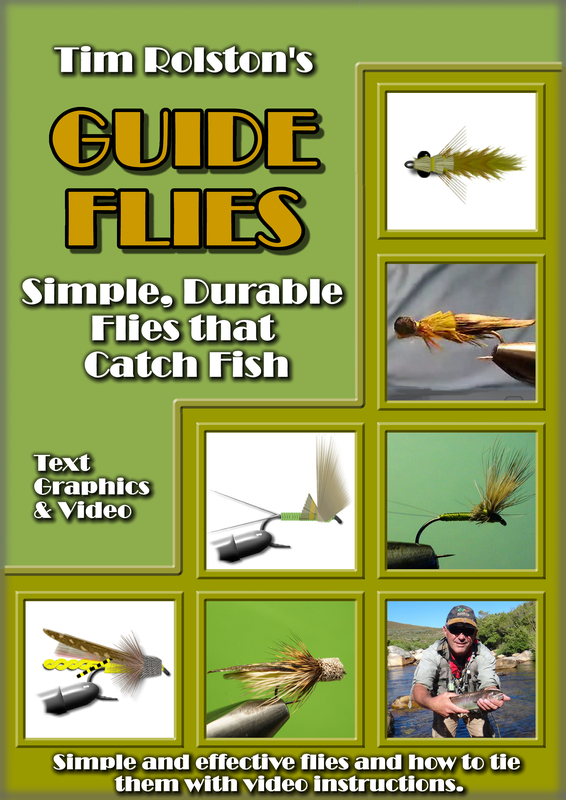 Sure we all love to delve into fish psychology, entomology, some (I tend to think overly sociopathic types) even resort to Latin names and discuss Mayfly wing venation for hours, but in reality for the most part fly fishing doesn’t need to be complex. 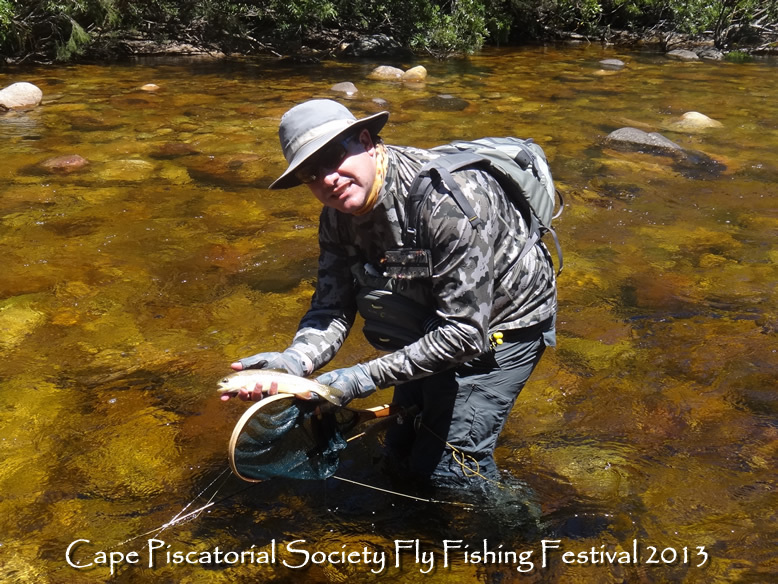 When one is constructing an intensive program like this one however one is faced with the dilemma of how to distil 43 years of fly fishing experience into a day’s worth of lectures and casting practise? Eventually you get to the point that you remove all of the “fluff”. Fly fishing in essence, as I told the girls, is simply a case of putting a fly that looks like food, in front of a fish such that it behaves like food and the fish eat it. Now we all know that it can be more complicated than that but how much of the time? 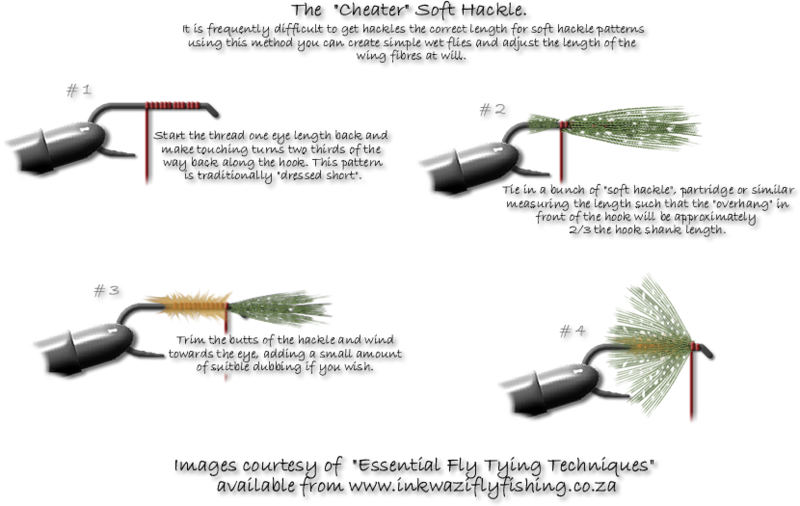 How many of us don’t rely more on a handful of favourite fly patterns, hopefully adequate casting and a dash of on the water savvy to achieve success during most forays to the water? When you get right down to it most of the time that’s what we all fish, “fish food flies”. 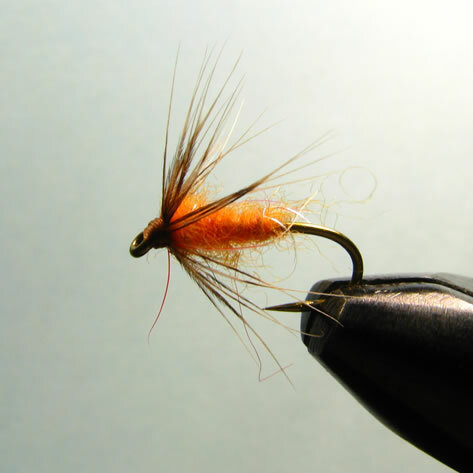 This particular pattern a long shanked construction manufactured of rabbit fur is a favourite of mine for stillwater fishing, in fact rarely off the leader although unlike the girls I do manage to have three patterns on there at once. It has gone through a lot of modifications over the years, initially a classical style “Hare’s Ear Nymph”, then a “Monty Nymph”, which was exactly the same construction but fashioned from the hair of my long since departed cat Monty. 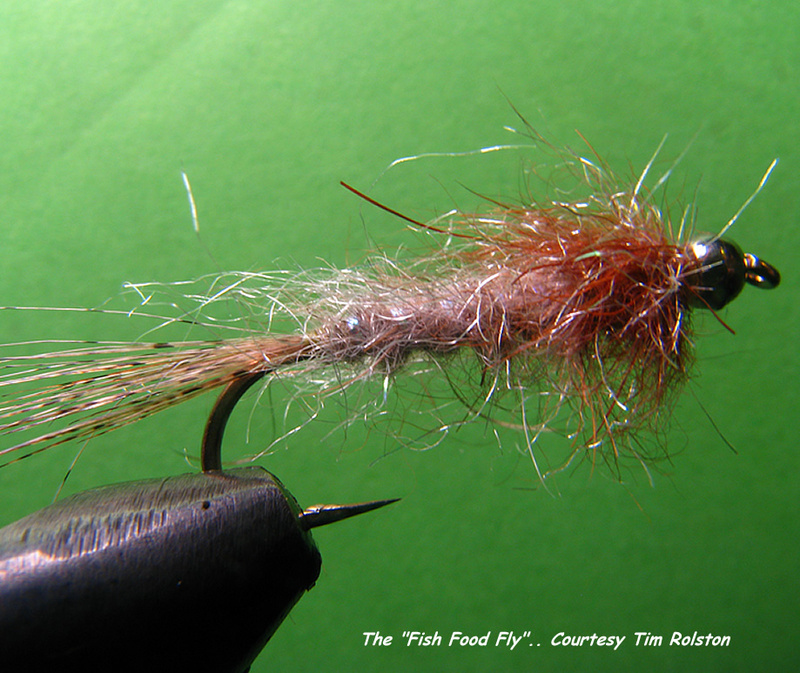 The fly has variously sported hackle legs, wingcases and flashbacks at different times, mostly to suit the mood of the angler more than the fish. Now I tie them up in various colour combinations from bright red to the normal dull underfur tones of the original but they all work. Some have beads just to aid in the turnover of the level leader when there is no breeze and most have a degree of toning built in, generally with darker dubbing near the eye but again I suspect that is more to do with the angler than the views of the trout. 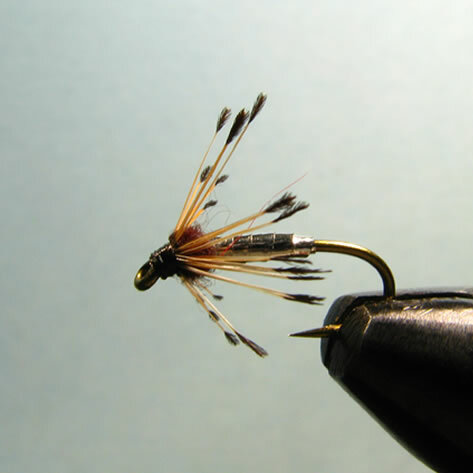 I have inordinate faith in this style of fly, it is quick to manufacture, easily adapted to varied colour combinations and sports all the attributes of, what I at least imagine, spell out the words “DINNER TIME” to a marauding trout. 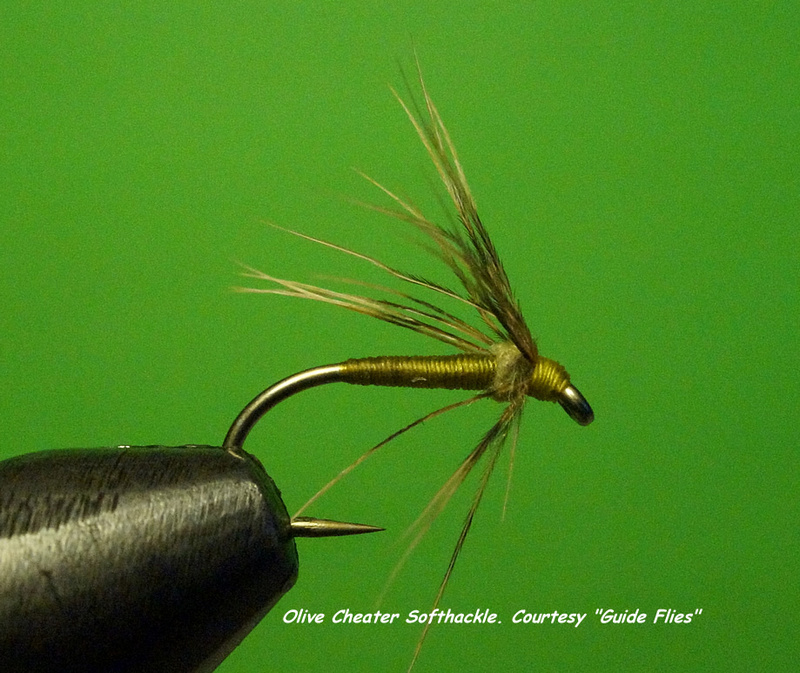 Subtle colouration, a generically nymph type shape and lots of movement courtesy of a healthy scrubbing with the Velcro strip that is always in my fly tying kit. I figure that most living things that trout eat turn out to be perfectly palatable to them and that possibly the most obvious distinction between things living and inanimate is simply that subtle movement. Real food wriggles, gills flare, legs kick whatever, movement indicates life and if you are a trout, life tends to indicate in turn the arrival of your lunch. Polly Rosborough of “Fuzzy Flies” fame. 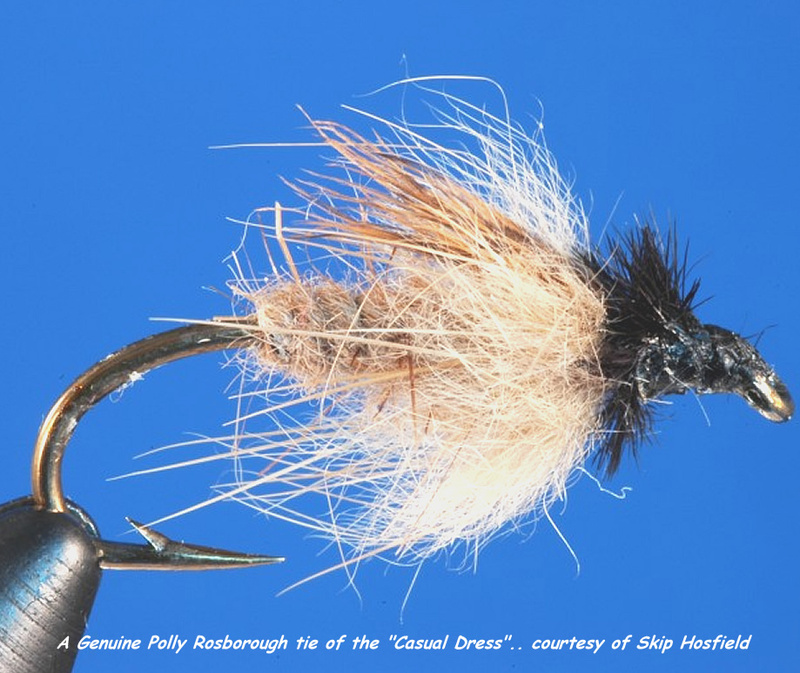 (Author of “Tying and fishing Fuzzy Nymphs”) pretty much bet the farm on subtle movement in his patterns. Sylvester Nemes (The Softhackled Fly Addict) took much the same view, although perhaps on a more microscopic level. 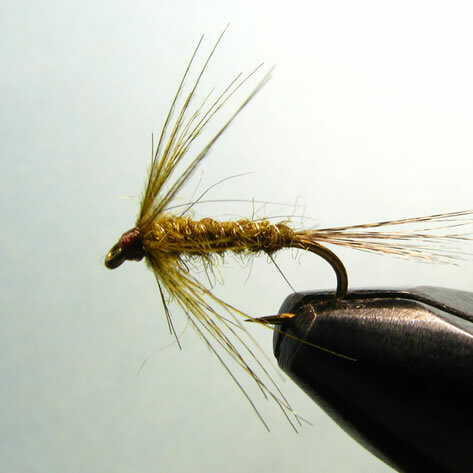 South Africa’s Tom Sutcliffe,(Author or “My Way with a Trout”, “Shadows on a Stream Bed” and “Elements of Fly Tying”) has inordinate faith in his “Zak Nymph”, with its buggy profile and wiggling and sparse palmered hackle. 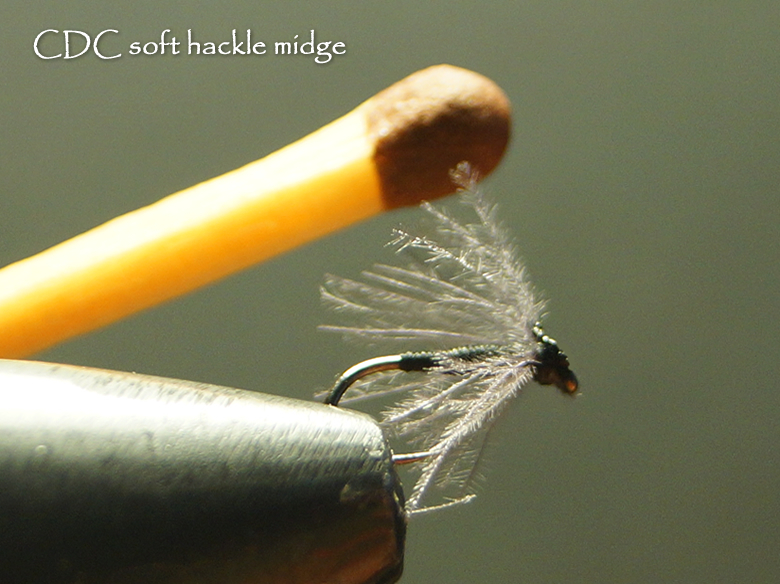 Subtle movement, even in tiny flies is often the key to success. If all else fails the idea of incorporating subtle movement into your subsurface patterns has to be a winner. Without getting too detailed or overly complicated the simple illusion of life will pay dividends more often than not. So sure we can complicate things, even successfully at times but when the chips are down, when you are searching out fish without a clue as to what is going on under the water, well then I am reaching for my “fish food flies”, they work for me, they worked for the ladies on the weekend and no doubt they will work for you too. 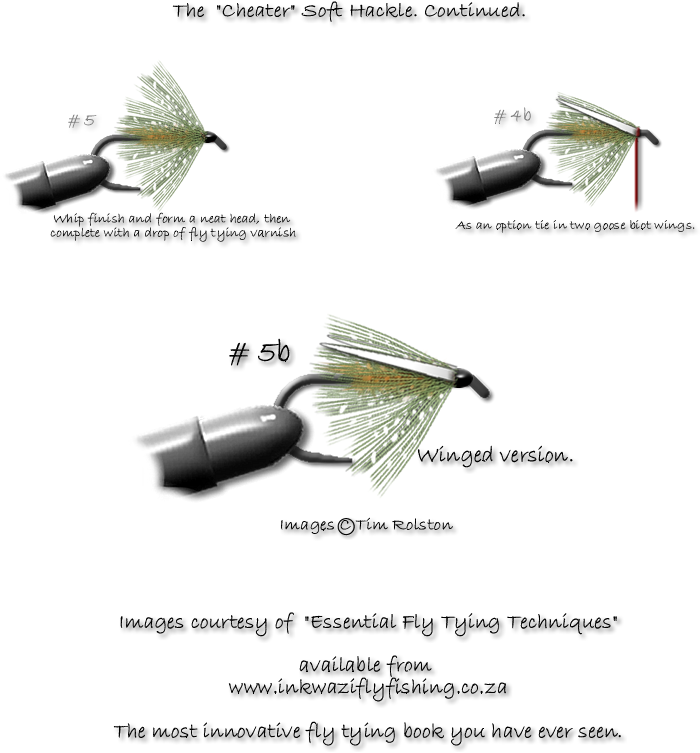 Now also available from www.inkwaziflyfishing.co.za “Guide Flies” the latest book from the author of this blog, in either eBook or printed softcover formats..